Join us for complimentary hand-selected wines and cheese and enjoy an educational session on how you can help your international real estate clients obtain permanent residency in the United States. In this educational session, the Rahbaran & Associates team will navigate licensed real estate professionals through the EB-5 Immigration and Investor Program. 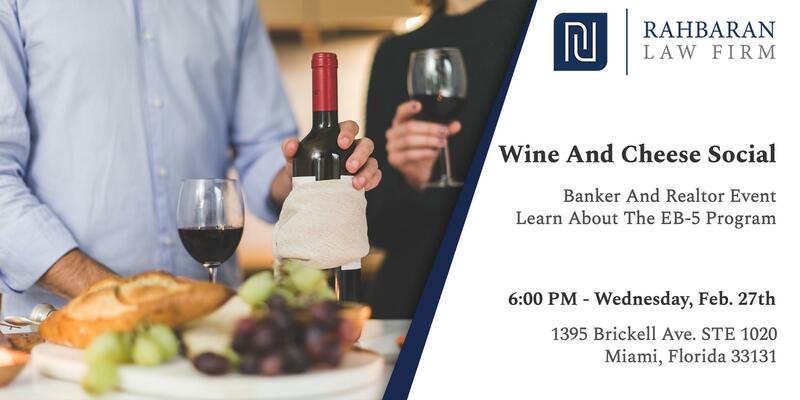 Before and after the informational session and how you can benefit from the EB-5 program, enjoy artisanal wines and cheese and network with other real estate and banking professionals.